Alexandra Grant of LA><ART and Clover Canyon designer Rozae Nichols teamed up to design an art-inspired ready-to-wear collection for Art Basel which launch at Scoop NYC. 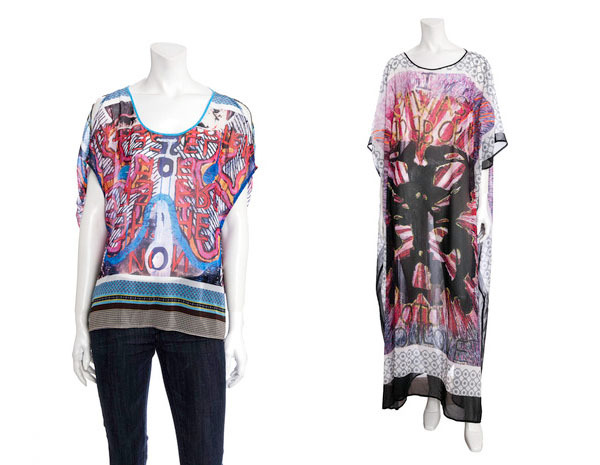 The collection includes colorful tops, pants and dresses at a price range of $250-$520. Based on Grant’s painting the clothes looks very artsy and bright. 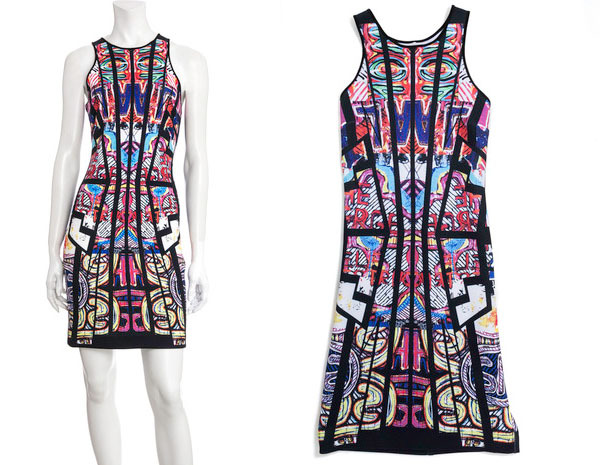 One of the pieces that really stands out for me is the Puzzle Word Dress that features a graphic print and a slim silhouette. It’s a great Spring 2013 piece that is both stylish and slimming thanks to the vertical lines angled inward to the waist. The other pieces are mostly loose-fitting billowy tops that would look great paired with the skinny pants or classic jeans sprucing up the casual jeans-top outfit. There are also patterned pants that is a big trend for the Spring 2013 season. Alexandra’s prints lent themselves really beautifully to Rozae’s fashion aesthetic, and we know that the pieces in this capsule collection will resonate well with our customers who attend Art Basel. Founded in 1970 Art Basel premiers art shows and works in three world locations – Basel (Switzerland), Miami Beach and Hong Kong. The show is based around art works with the art galleries creating exhibitions and various artistic events. 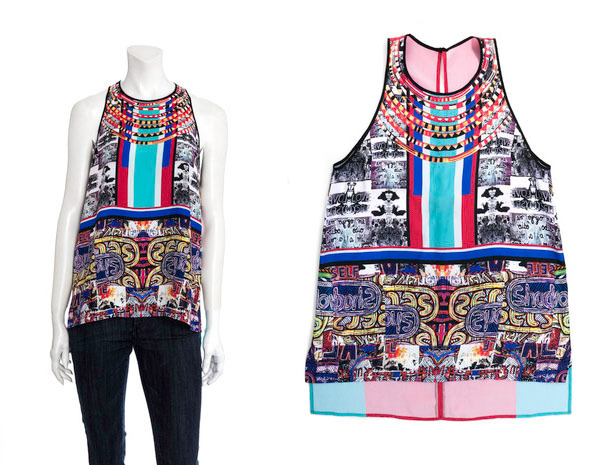 The artsy collection of Grant’s works printed on neoprene and chiffon fabrics makes for great outfit pieces. The tops can be paired with tailored trousers, or worn with the shorts in Summer, while the fitting dress is a great cocktail/evening piece the loose dress is well fit for casual Summer days and beach. The collection is available online and exclusively at Scoop NYC stores. What do you think about these painting-inspired clothes?